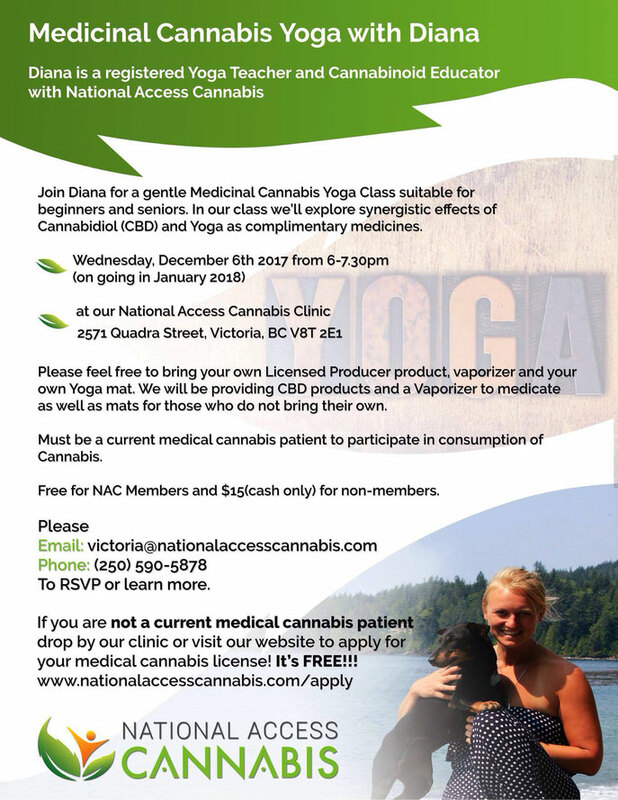 Since nearly four months I work as a Cannabinoid Therapy Assistant with “National Access Cannabis” (NAC) in Victoria, British Columbias’ capital city on Vancouver Island. NAC is Canada’s leader in the Medical Cannabis Industry. I was more than lucky to get that job and I’m still having a blast with what I learn and experience every day! We are approx. 15 clinics all around Canada that work together with doctors that are specialized in Cannabis. Patients get medical consultation and their medical Cannabis through us. My job is to assist patients during their therapy and consult them regarding Cannabis Intake, dosing, legality questions, etc. I’ve learned so much during this time about how Cannabis helps people with all kind of really severe health conditions curing their symptoms. The stories I hear every day of how Cannabis helps to cure patients with cancer, MS, Epilepsy, chronic pain, anxiety, depressions, etc are I-N-C-R-E-D-I-B-L-E. In the near future I’m planning to write more articles on my work. This article is on my first Cannabis Yoga class that I held last week. As most of you know I got my Yoga teacher license. Working in the Cannabis sector, I soon developed the idea to combine Medicinal Cannabis and Yoga and provide our patients with a “Medicinal Cannabis Yoga” class. My boss really liked the idea and I wrote a concept for a Medicinal Cannabis Producer (there are approx. 60 “Licensed Producers” in Canada) to ask them to provide my class with Cannabis oils and strains and it worked out! They are supporting me now with High Quality Medicinal Cannabis Products. So, last week I had my first class. The request for it was amazing and I couldn’t even get all of them booked in. Before the Yoga session, the participants used either CBD Oil (which is a highly concentrated extract oil) or vaporized dried strains. In the Cannabis Yoga class, I’m focusing on CBD (Cannabidiol) which is a non-psycho-active component of Cannabis (which means it doesn’t make you high) with amazing healing potentials for several conditions, nevertheless patients are also free to use THC products, that I also have available for them. After the Cannabis intake, we started a very gentle Yoga class. As many of the participants have health issues of all kind it was very important to create a very gentle and safe environment suitable for all kinds. The people loved it and the feedback was amazing! From January on I’ll go on with the course and can’t wait to grow and learn in it! How very interesting! Will you give me a personal class one day? :-) wishing you good luck in developing your skills in that area!